Demi Lovato was seen out in New York on wednesday. The camp rock actress wore aEleven Paris Falk W Leather Jacket on aCynthia Rowley Multicolored Space Junk Bonded Racer Dress and paired up withJeffrey Campbell Mercer Boots. Check out a girly look of her here. 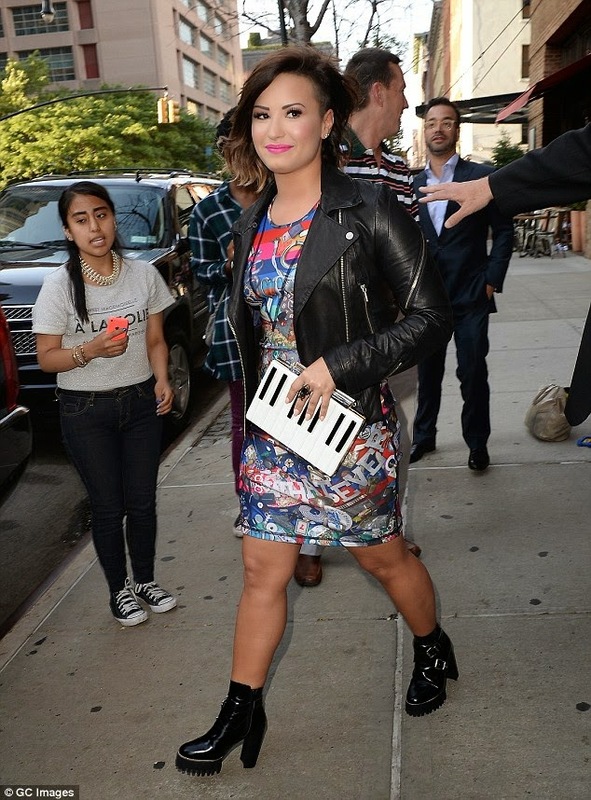 She's holding a Kate Spade Piano Clutch.. The boots looks fine but i cant catch myself wearing it..i am too girly to wear them...i dont have any atom or traces of tomboyish attitude in me..
Kylie jenner is also a huge fan of boots.